When you’ve been supplying hire equipment to the construction industry for as long as we have, you get to know people and understand their needs. Consequently, Hireways customers benefit from the most professional, proactive and flexible service in the plant hire business and at really competitive rates. We are continually striving to meet and exceed our customers’ needs. Of course, like anybody, you’ll have questions regarding costs, and truth be told it is possible to compromise on service to reduce rates. But that’s not how we operate. Our customers tell us they like picking up the phone, speaking to a familiar voice and knowing their request will be handled quickly and efficiently and with the minimum of fuss. Despite one of the widest ranges of equipment and being able to supply everything from rollers to a 30-tonne dumper, ours is a people business. Everybody, from the Hire Desk team, to the workshop, is willing and able to improve customer service. The hard-working team here at Hireways are continually striving to provide our customers with a quality hiring experience. We could not do this with old and unkept equipment. We show pride in the way we like to keep our machines at the peak of condition. 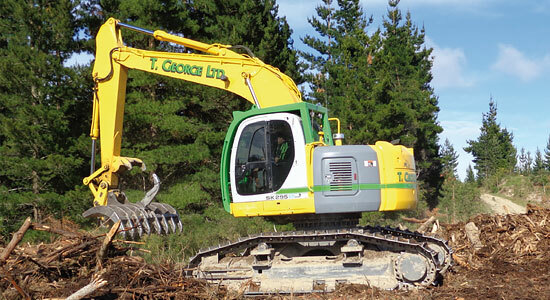 We hire out a large range of different makes and models of machinery to satisfy the varying needs of our customers. Our equipment is continually updated with new late model machinery. You never want to be held up by inconvenient delays. Like a break-down on a machine. Thanks to our commitment to replacing machinery regularly and regular maintenance, we offer a high quality fleet of equipment that is less likely to break-down. Saving you time and money. If a machine does have a problem, or needs a service, you’ll be reassured that a technician will be with you as soon as possible. We start with the basics. We clean every item of equipment. Not once, not twice, but every time it returns to one of our depots. We do this regardless of how long it’s been out on hire. And when we say clean, we don’t mean an external wipe-down. We mean a full valet inside and out. The teams in our yards have a saying, “There’s clean and then there’s Hireways clean.” After cleaning, we’re checking. All machinery and equipment is thoroughly examined before it’s hired out. Each item is then issued a pre-hire tag. These provide you with evidence of our checks, and complete peace of mind. When it comes to safety, we never rest. We’re constantly making incremental improvements. Things like roll over protection systems on all our machines and double locking quick hitches on all excavators 6 ton and upwards. Ultimately safety comes down to people. So we train all our drivers how to operate all the equipment and machinery we deliver. And most significantly, if required, we’ll visit your site to demonstrate to your people how to use equipment hired from us. This ensures your hire period is as safe as possible. Hireways operates a workshop with a team of 8 technicians and engineers where we up spec and fully maintain our fleet. It is here where we service and make alterations to our equipment, all to suit our customers’ requests and expectations of Hireways Service. 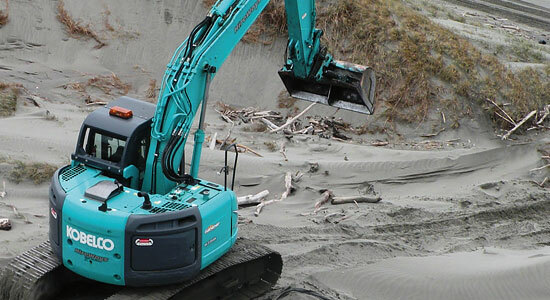 With experienced operators and a variety of transport units Hireways has a large coverage, we organise the machine hire through to the transport meaning that you as the customer are able to get on with the job knowing that your machine will arrive on time and within budget. If you have questions, please don’t hesitate to pick up the phone, we promise you, it’s one call you won’t regret. Is your equipment only used part of the time? 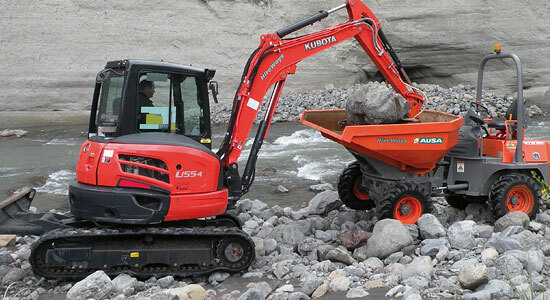 When you own equipment, it can spend much of its time offering no return on your investment. HIRE and you only pay when the machine(s) actually being utilized. HIRE lets you have the use of the equipment without capital outlay. You only pay when it’s working for you. Spend your capital dollars that you save through HIRE on investments in niche products or areas where additional profits are generated. Not sure which size/model will best do the job? And requirements change frequently? HIRE gives you great flexibility and gives you hands on experience and a guide for future purchases. Generally, HIRE payments are fully tax deductable. 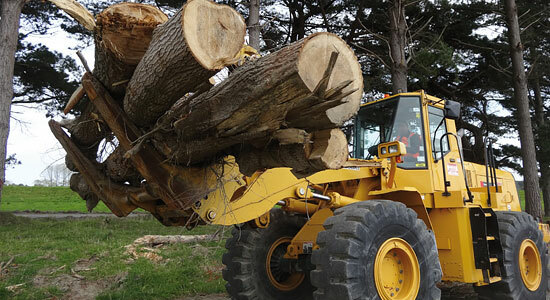 While purchased equipment is depreciated, tax savings yield slowly. Independent professional advice is best obtained in planning what is most suitable. Why have the expenses of maintaining, certifying and warehousing? And when you HIRE, you gain many benefits like professional technical support. Why allow capital purchases to erode big $’s in operational funds and available credit lines? When you HIRE, capital can be preserved. Take the risk of obsolescence away. With HIRE you don’t end up owning an old dog! If you have urgent deadlines or unforeseen inefficiencies you will require more equipment than your purchase budget will allow. HIRE at the most cost-practical and economic solution. Any difficult, complicated costings can be easily overcome. HIRE payments can be sorted directly and fairly to specific clients or contracts where the equipment was used. When initial equipment breaks down, or the pressure comes on in peak periods, HIRE can place the necessary equipment where you need it.